Our Authors and Readers Propelled us Into the Hall of Fame! Thank you! Happy New Year. As 2018 draws to a close and the new adventures of 2019 are still resting below the horizon, it seems a fitting moment to acknowledge gratefully all those who contribute to making this blog a useful and informative read. This year, our thoughtful and insightful authors – please take a look at their names on our sidebar – together with our loyal and well informed readership has earned us a new honor. As you may remember, for three straight years, from 2014 to 2016, Best Practices was named one of the ABA Journal‘s top law blogs. 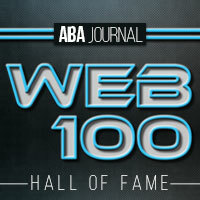 This year, Best Practices has been named to the ABA Journal‘s Blawg 100 Hall of Fame. That’s right, we are Hall of Famers! 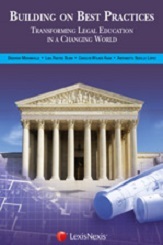 CLEA’s Board had commissioned one Professor Roy Stuckey to lead the charge in editing and publishing the original Best Practices book to be distributed for free (see right sidebar for a free copy) in timely accordance with the publication of Carnegie’s Educating Lawyers: Preparation for the Profession of Law . Together the two books caused quite the stir in the legal academia and presaged the critiques that would come post-recession about the way law schools had lost their way in serving its students and society. Roy emphasized, as did the committee working with him, that Best Practices was meant to be an evolving guideline NOT a textualist nightmare. University of New Mexico Law Professor Antoinette Sedillo Lopez described the need for further iterations to flesh out the cultural awareness and competence sections. In response to these and others concerns, Pace Law’s Professor Vanessa Merton suggested the development of a BLOG as a way to continue the critique and conversation in real time adding acquired knowledge and exploring experiments gone flop! Albany Law agreed to foot some minor bills and provide some tech support for creating the blog. I agreed to become editor by figuring out what a blog actually was! Hence the Best Practices in Legal Education Blog was born. The Blog was softly launched in late 2007 with some preliminary posts. The hard public launch was planned to coincide with the January 2008 AALS annual conference in NYC. New York state law faculty lugged Best Practices books with them to the conference by subway, metro north, Amtrak, cars, buses and feet! In the main hall of vendors, we signed up folks onto the blog’s feeburner site (see option on right sidebar!) and shared a table in the Hall with Equal Justice Works! We also hosted a birthday celebration for both Roy and Best Practices! In the past decade, this modest little blog has hosted so many talented authors, guest contributors, insightful commentators and the most loyal and passionate readership. We have been ably assisted by devoted and tech savvy student assistants as well as by fellows Justin Myers and Kevin Ramakrishna . We would be lost in cyberspace without the tech wizardry and grammarian expertise of nina Roepe. We do not intend to rest on our laurels, however! Issues of law, the Rule of Law, and the role of law in supporting a free and democratic society have become more important than ever. How we teach and who we teach and who does the teaching are ever more important questions – even more so than a decade ago. Here, on this blog, without a lot of fanfare, or social media confetti, or hysterical tweeting, we can discuss, explore and examine how to proceed to facilitate learning for the budding lawyers who will lead the way forward. They are eager and they are our hope. 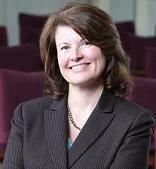 I will look forward to hearing you speak at AALS in New Orleans on your most recent research. We would love to hear more about it by your posting on this BLOG! Safe travels all going to New Orleans.